Category: Hip Hearts & Flowers, Twittens. 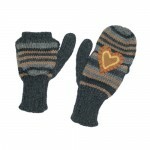 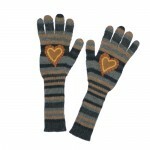 Tags: alpaca, Corduroy Hearts, handmade twin mitten, twittens. 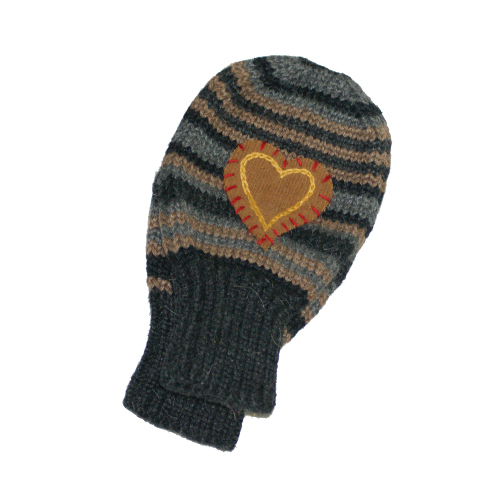 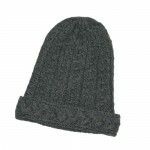 First two-handed mitten in charcoal, black and pearl gray with camel corduroy heart.